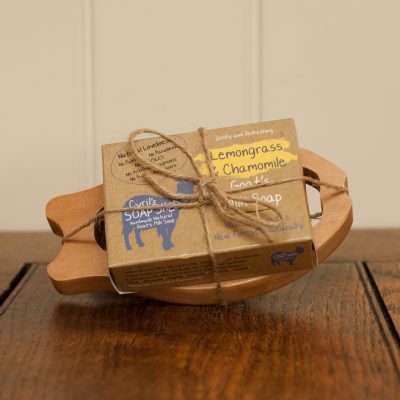 Our Soap Bars are all hand cut, and therefore may vary in size, and shape. 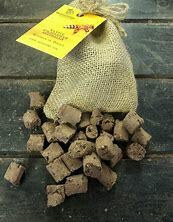 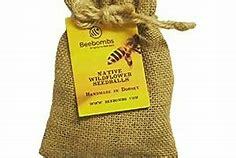 However, they all weigh a minimum of 90g, and are closer to 100g! 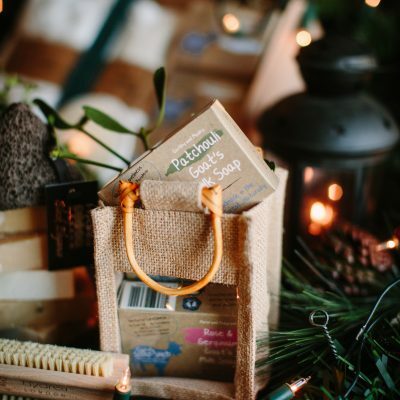 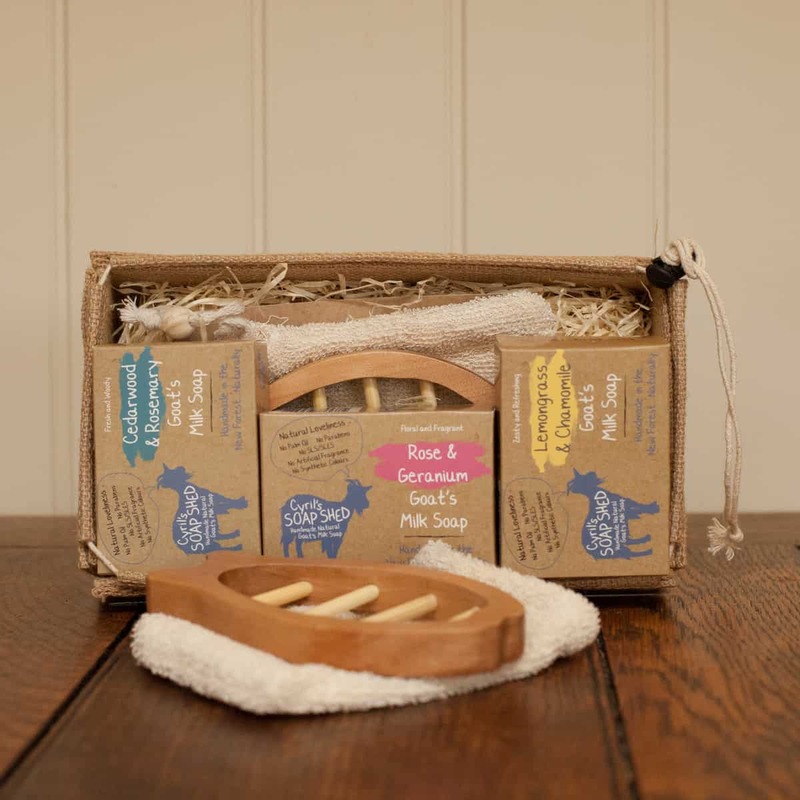 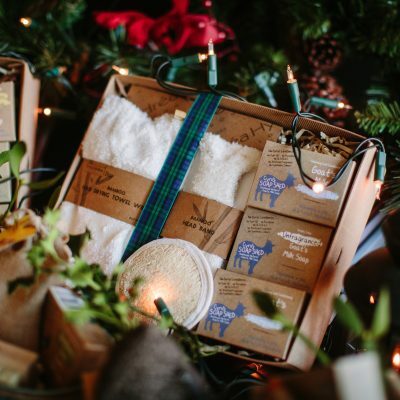 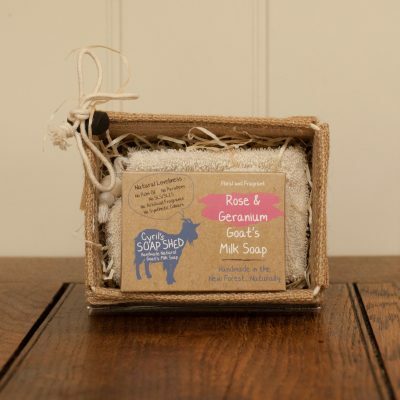 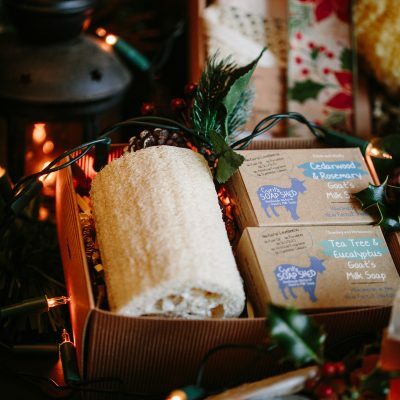 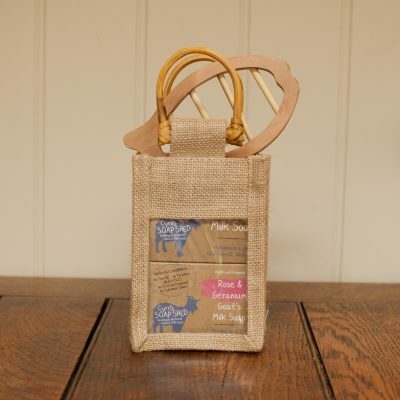 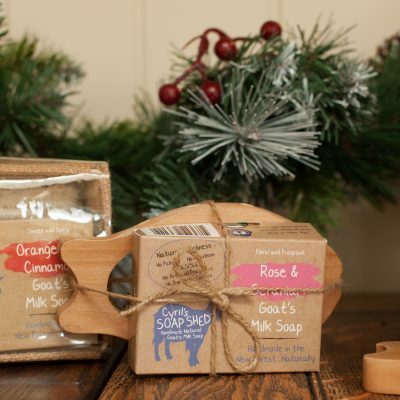 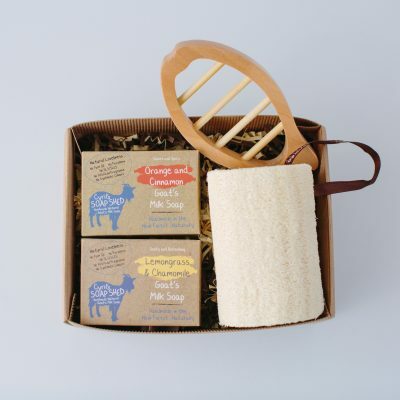 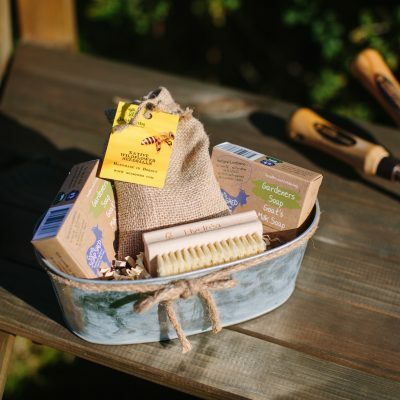 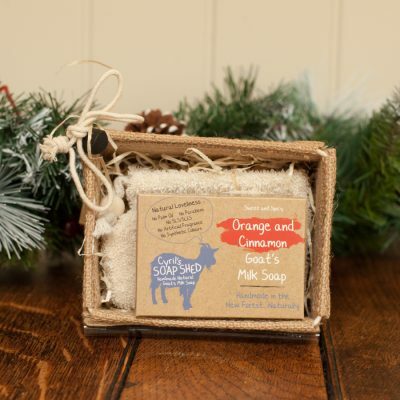 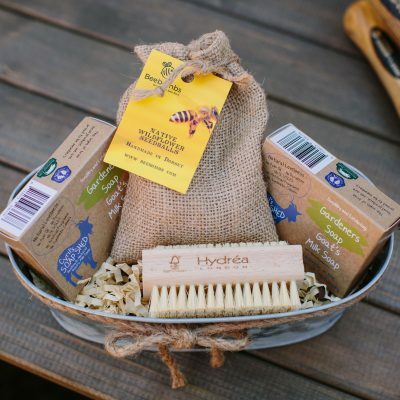 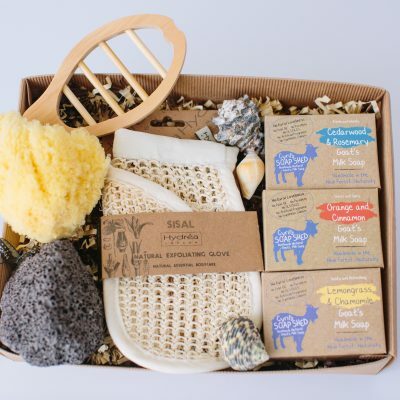 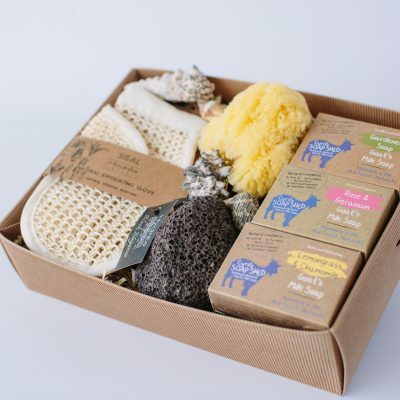 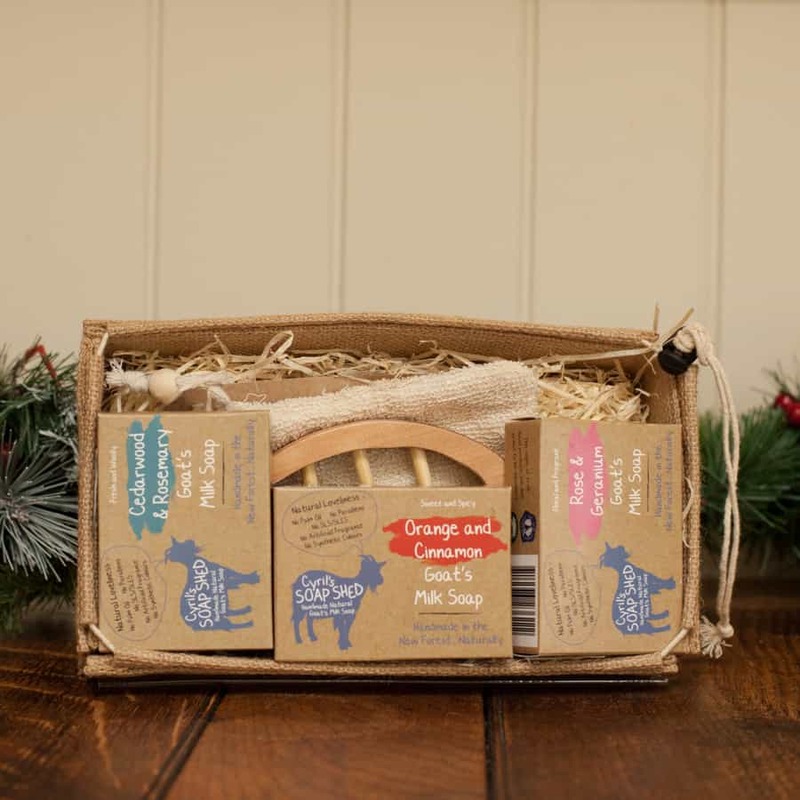 Your choice of 3 Goats Milk Soaps along with a Ramie or Bamboo soap bag and a quirky fish dish in a Jute gift box.